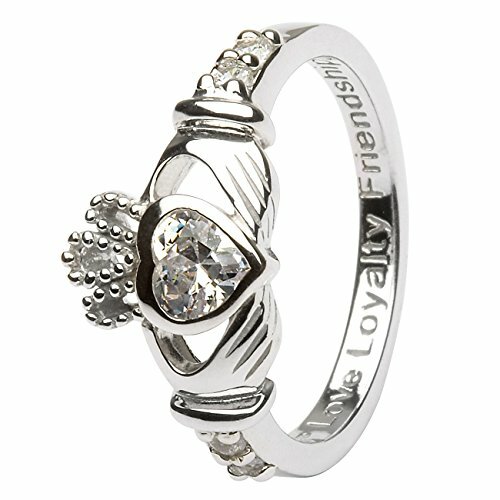 APRIL Birth Month Silver Claddagh Ring LS-SL90-4 - Size: 6 Made in Ireland. APRIL Birth Month Sterling Silver Claddagh Ring. If you have any questions about this product by CLADDAGH RING STORE, contact us by completing and submitting the form below. If you are looking for a specif part number, please include it with your message.